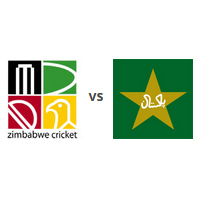 We will provide prediction and betting tips for all T20 and ODI matches between Zimbabwe & Pakistan. Zimbabwe came back in the three ODI series against Pakistan by winning the second game, levelled it at 1-1 and will anticipate grasping the final one as well. Team Pakistan continued with their winning spree on their recent tour of Zimbabwe while grasping the third ODI and can clinch the series after next game. Pakistan completed a whitewash in the two T20s vs. Zimbabwe, grabbed the second spot in the ICC ranking and will anticipate same results in three ODI series. Team Pakistan maintained their supremacy in the shortest versions of the game against Zimbabwe by winning the first T20 and will anticipate folding the series. Zimbabwe and Pakistan have announced their squads for the upcoming two T20s, three One Day Internationals and the latter will begin its tour with a T20 match.